Want a first-hand look at God working in the world? Prepare to go on a dizzying journey around the world - from the streets of Northern California to the mud huts of Africa; from the underground church in China to the Gypsies in Eastern Europe - you will be challenged and encouraged by the extraordinary things God is doing in our world today. Born out of filmmaker Darren Wilson's personal journey of two years and hundreds of hours of footage, Finger of God will show you a world you never knew existed. A world of hope and courage. A world where God's fingerprints are found in the unlikeliest of places. 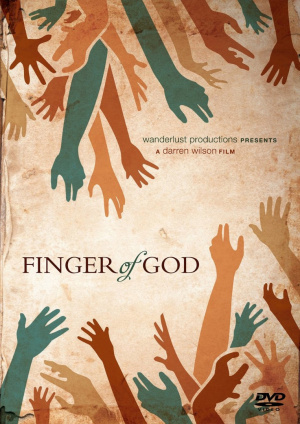 "Finger of God began as a short film about God's miraculous power. I had no budget, no script, and no idea what this movie was ultimately going to look like. I teach storytelling and film at a University in Chicago, and here I was breaking all of my own rules. But that's where I found myself, and I quickly discovered that God is an incredible film producer. He funded the whole film (I never had to ask for money), took me around the world, and introduced me to some truly incredible people." "So what is the film about? On the surface it is about the miraculous. I originally thought I was making a film that simply tried to capture miracles on tape. But as the story progressed, things began to change. At its core, it is about the heart of God. It's about how He views us, and how He is desperate for a relationship with us. Along the way, He places his finger on our lives, touches us deeply, heals us, shows His creativity, and generally surprises us with every move He makes." The film's international cast includes a wide variety of people, ministries, and personalities. Contains subtitles in English, Simplified Chinese, Traditional Chinese, Czech, Dutch, Finnish, French, German, Indonesian, Korean, Polish, Portuguese, Russian and Spanish. 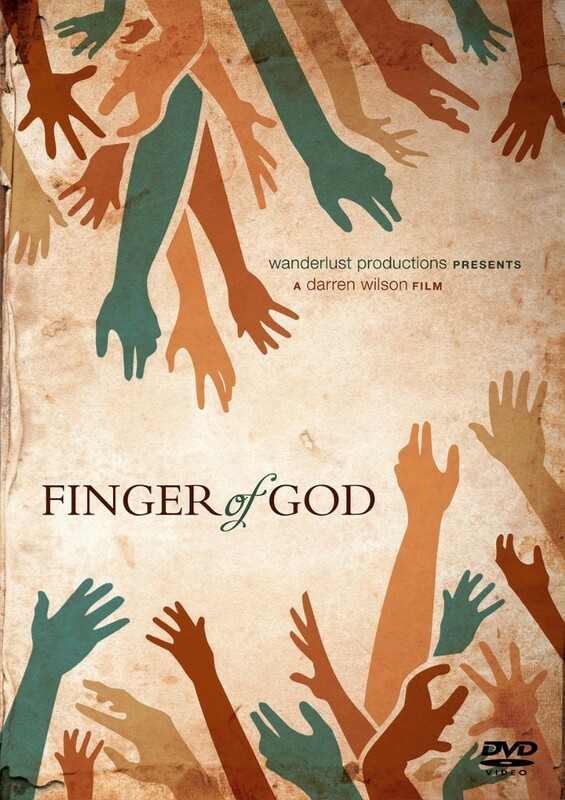 Finger Of God DVD by Darren Wilson was published by Authentic in October 2015 and is our 2065th best seller. 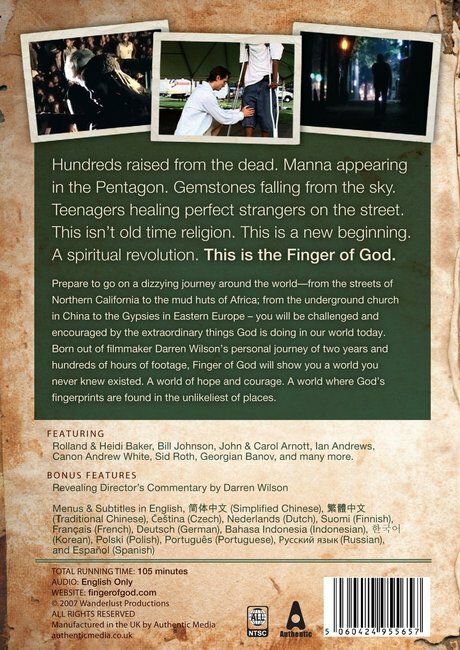 The ISBN for Finger Of God DVD is 5060424955657. Be the first to review Finger Of God DVD! Got a question? No problem! Just click here to ask us about Finger Of God DVD. A:I have check this DVD and can confirm that Finger of God does come with French subtitles, along with many other languages as well. Can this be played in the UK? A:Yes, this DVD is produced in multi-region format, and will play on all standard UK machines.